radio to be used for low bit rate digital voice. 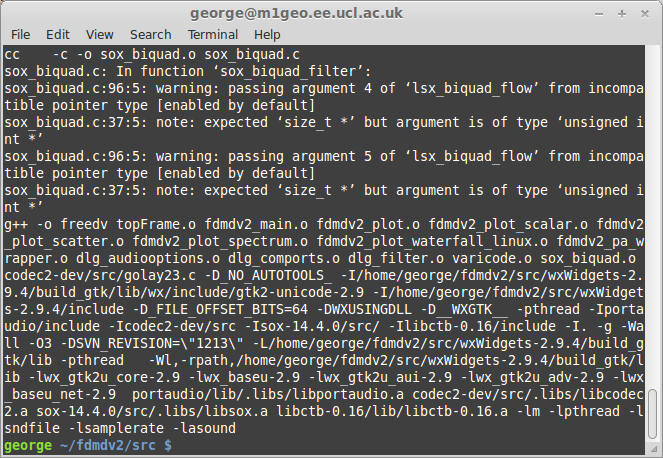 demodulated and decoded by FreeDV. version 2.1. 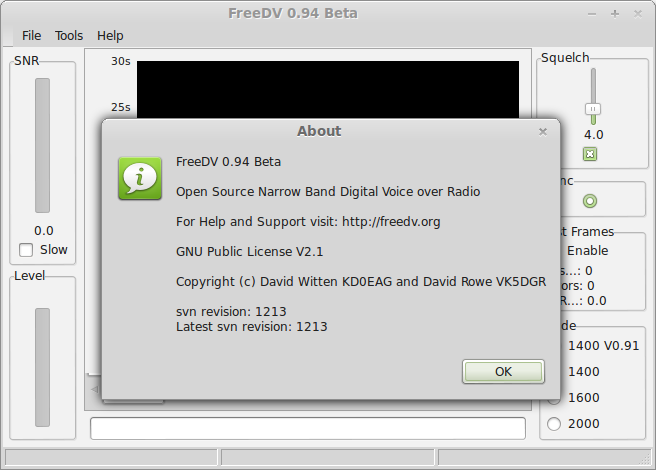 The FDMDV modem and Codec 2 Speech codec used in FreeDV are also open source. Lots of people have been talking about FreeDV and Digital Voice on HF for some time now, and so I decided to see what it was all about. 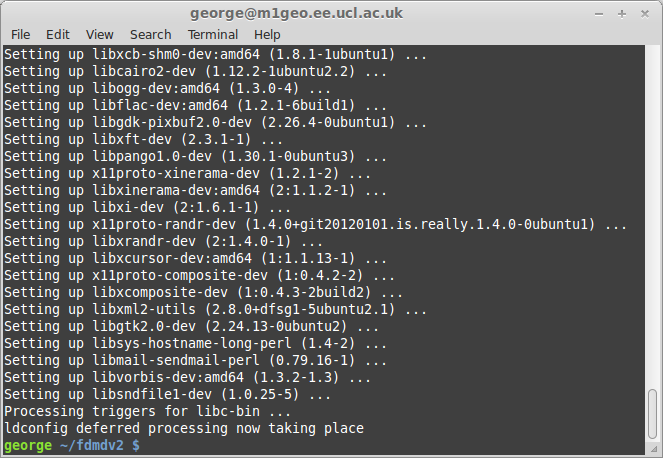 There are windows binaries available on the project website as well as RedHat RPMs; but, no Debian packages. 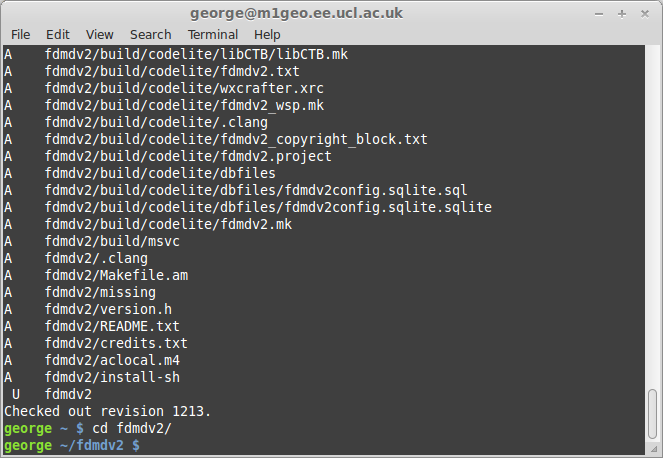 This page details how I went about compiling FreeDV for Ubuntu Linux 12.04 64-bit. You should see a new window pop up. Hopefully, it’s FreeDV! A the current time of writing, this was FreeDV 0.94 Beta. After that, you’re ready to roll!